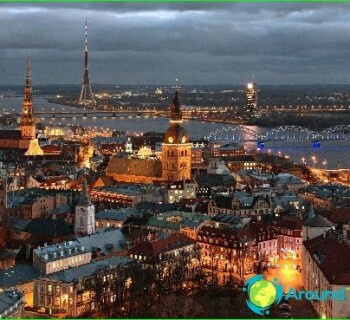 The capital of Latvia - Riga has always been one of thethe most famous and popular tourist destinations in the entire Baltic region. Riga, perhaps best able to maintain the spirit of medieval Europe, though? that the city could be called metropolis. As for entertainment, they are just a mass. Numerous theme parks, shopping centers, children's camps, water parks and attractions in Riga lure tourists, and any attempt to draw up a clear list of the best places to visit is doomed to failure. It is likely that for the transfer of all the interesting places just do not have enough space. As the name suggests, this place is bestsuitable for families. On the territory of this amusement park has over 40 modern attractions, designed for toddlers and older teens. In addition, there are regularly held theatrical performances, games, contests and other entertainment events. Open all year round, free admission. Consisting of a giant rope towna plurality of tracks of different difficulty levels. Initially it was a training facility for the physically strong people get involved in tourism and professional rock climbing, however, due to its popularity very quickly this place and was adapted to the needs of the general public. This water park - a real pride of the country,because it is not only the largest in the Baltic States, but throughout Eastern Europe. It consists of indoor and outdoor areas. The latter is open from June to August. Total "Livu" aquapark offers visitors: slides; water attractions; artificial beaches and pools; ponds with artificial current and waves; jacuzzi; playgrounds. Main feature of this water park - a uniqueattraction of the island of fountains Chupa Shups. 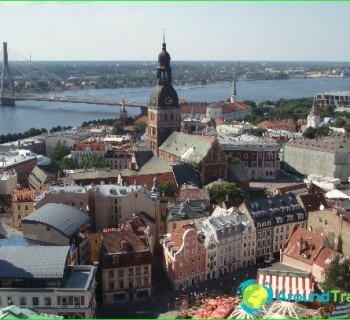 So visit Riga and not to look at this water park is the real crime. Also different from the number of points and the fact that if you wish you can even spend the night. One sleeper will cost about 10-15 euros. The price of the ticket, both adults and childrenIt ranges from 15 to 65 euros, depending on season and length of stay in the water park. On weekdays, open from 12 to 22 pm, Saturday from 11 to 22, and on Sunday from 11 to 21. More information can be found on the official website http://www.akvaparks.lv/lv/. You can also book tickets. The capital of Greece: map, photo. What is the capital of Greece?